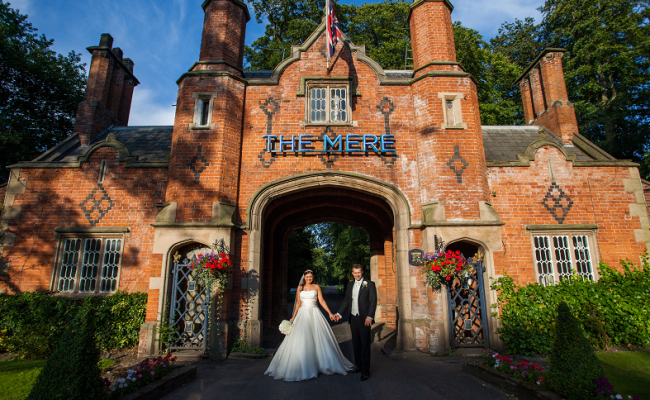 The Mere Golf Resort & Spa is one of the most romantic settings you can imagine for your special day. Celebrate in style in the elegant surroundings of one of our impressive banqueting suites with fabulous food and excellent service and then enjoy an overnight stay in one of our contemporary and elegant guest bedrooms or suites. We will work with you hand in hand to ensure you have the wedding day of your dreams with its own individual hallmark and ambience. Whether your wedding celebration is a small intimate occasion or a large gathering of up to 550 guests you can have complete confidence that the Wedding Co-ordination Team at The Mere will respond to your every need. With over 25 years’ experience in arranging marriage celebrations and civil partnerships, our team will ensure it really is a truly memorable day.